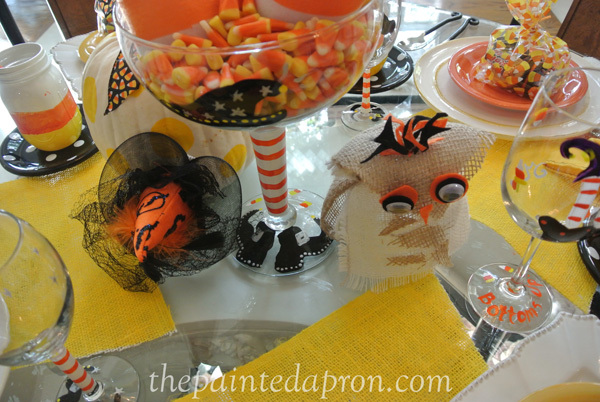 A little Halloween fun from the archives today, Crazy for Candy Corn! 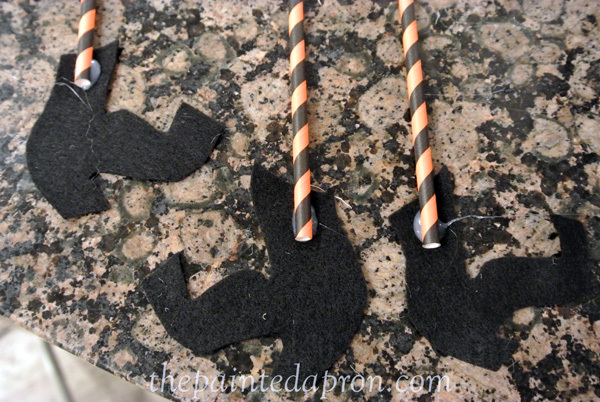 and mini witches seem to have gotten into these too! The owl seems quite surprised! 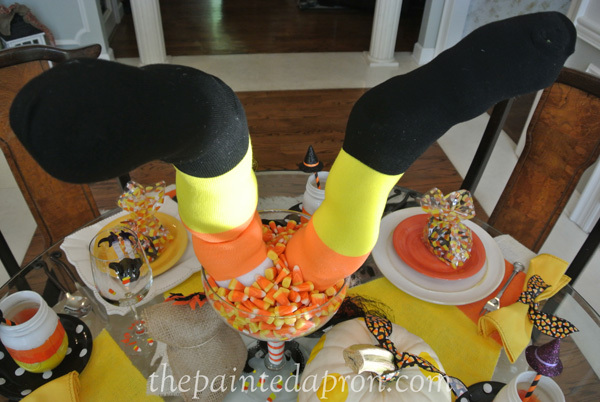 Ready for some candy corn fun! 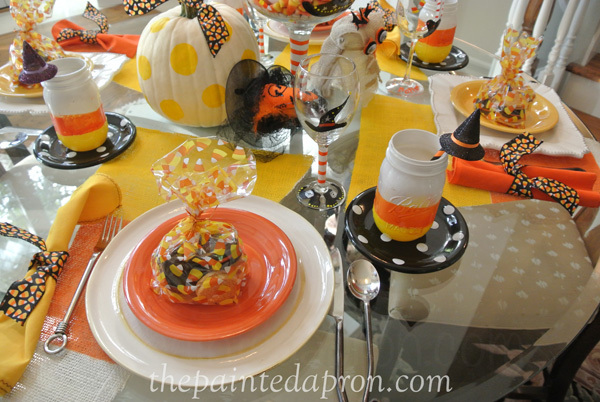 Love the centerpiece and especially the polka dot pumpkin!! 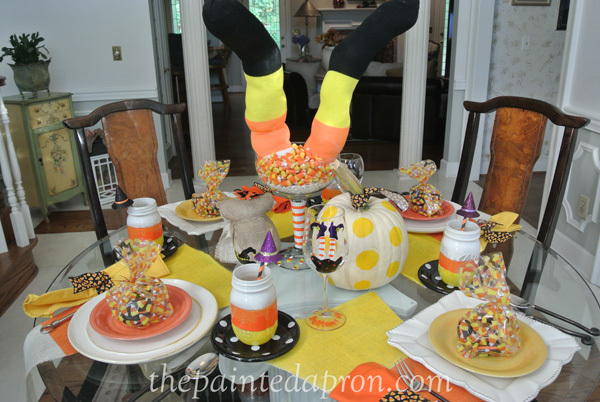 Cute table!! 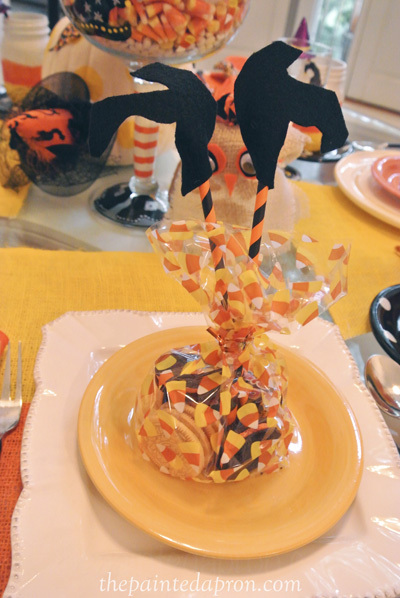 Very cool table settings. 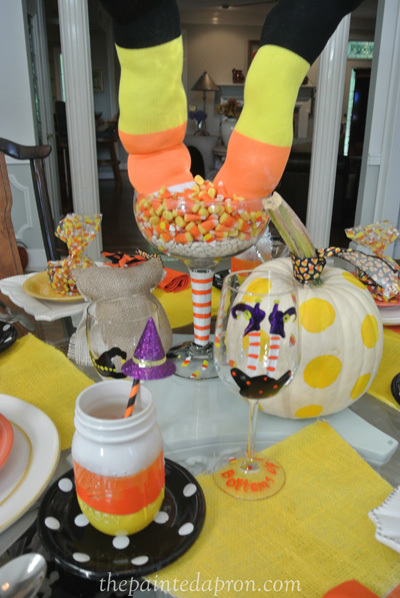 I love candy corn, once a year I get my fill. Jenna, I hope your beautiful home on the coast weathered the storm without any damage. I love these cute tablescapes. 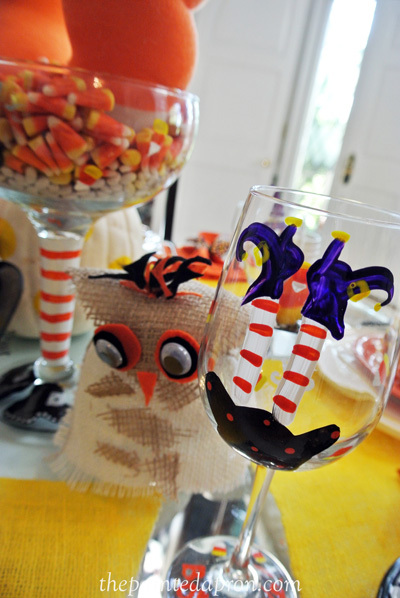 I know your darling grands love them…bring on the candy corn! Oh I’m laughing. 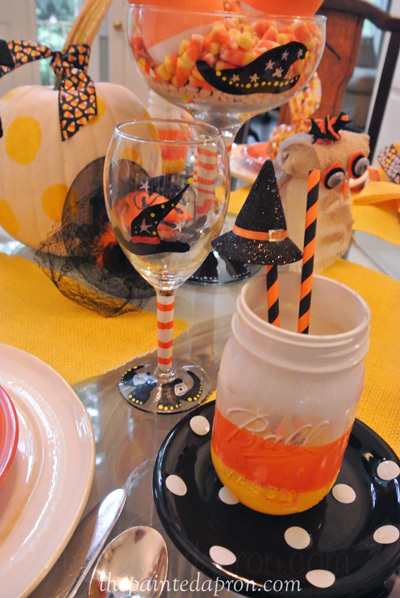 What a cute and witchy table. I love it. 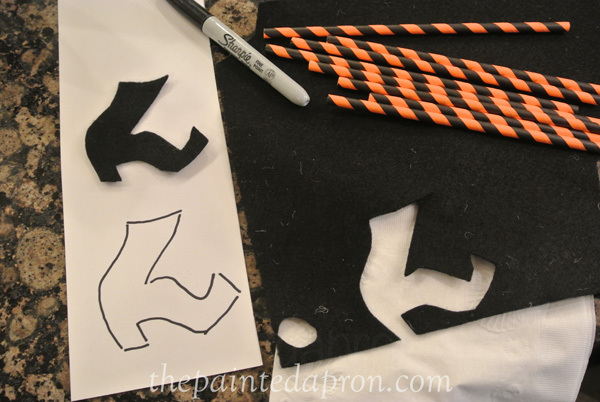 Gotta make me some of those cute witches shoes straws. Tooooo clever. 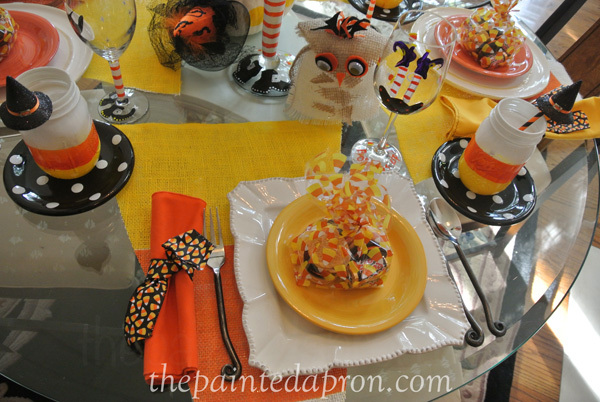 Thank you Sandy, it’s a table from 2013, but I had to reshare it, it’s one of my favorites! 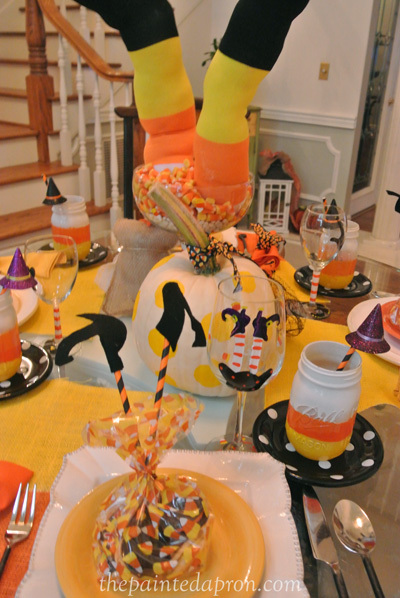 Your decorations are “super sweet” Jenna! Love your creativity! 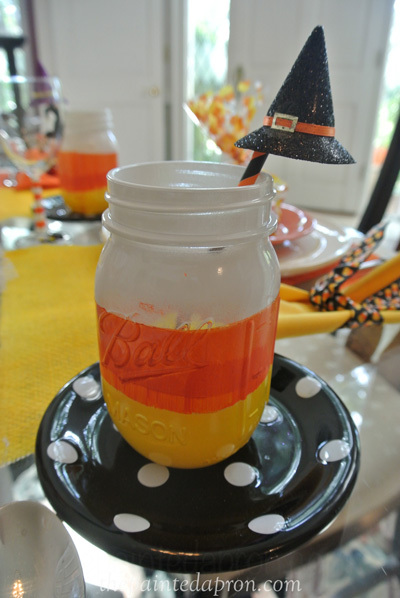 🎃 I bet your grands love it too! 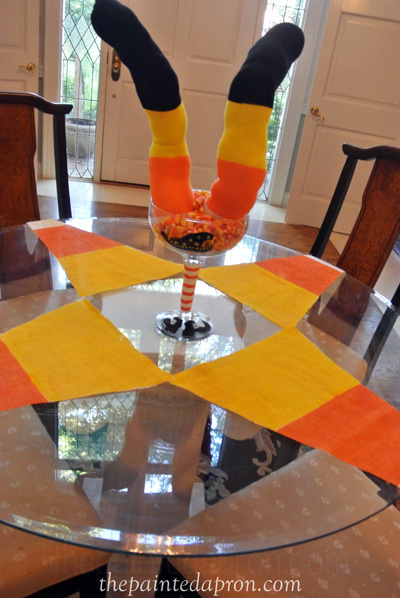 I love your ‘bottoms up’ and candy corn fun Jenna! 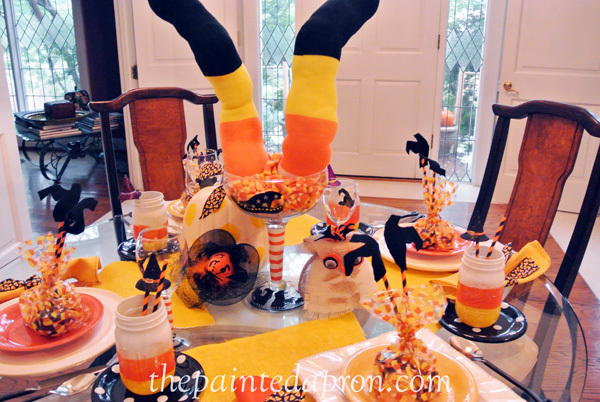 I remember this fun post and love your painted and creative details! I hope your beach place fared the wrath of Michael, I’m guessing it’s too early for you to know? We got 4 1/2 inches of rain yesterday and a lot of wind and lost our internet and TV but not our power or any trees so that was a blessing. Jenna, ia there no end to your talent? 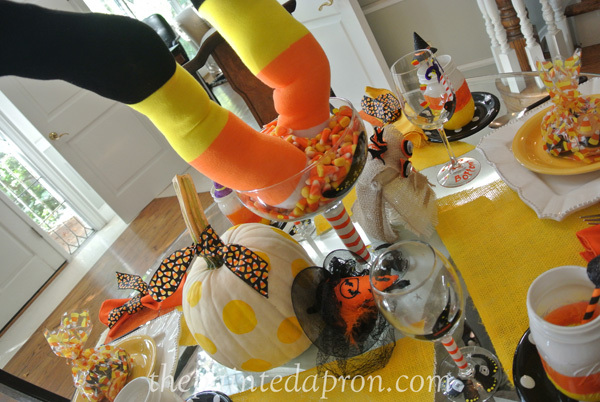 What a cute idea with the candy corn witch’s legs and place mats. So glad you are ok with Michael’s wrath. We were spared in SW Florida…a small rain shower and a cool breeze. Praying for those in the path. Oh goodness, this is so stinking cute!! 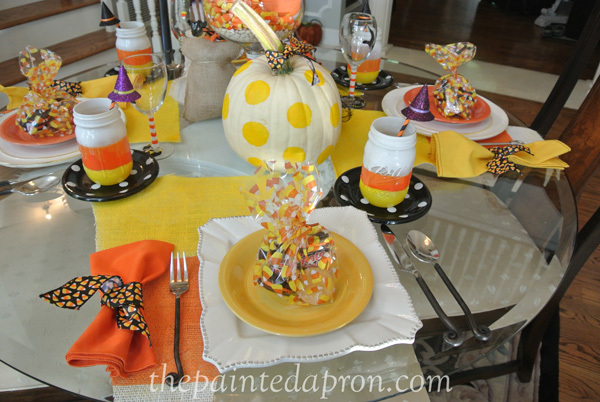 I love how cute your table looks decorated for Halloween. You did a great job being so creative. Thanks Jenna for sharing at Cooking and Crafting with J & J. This is so cute for so many reasons! 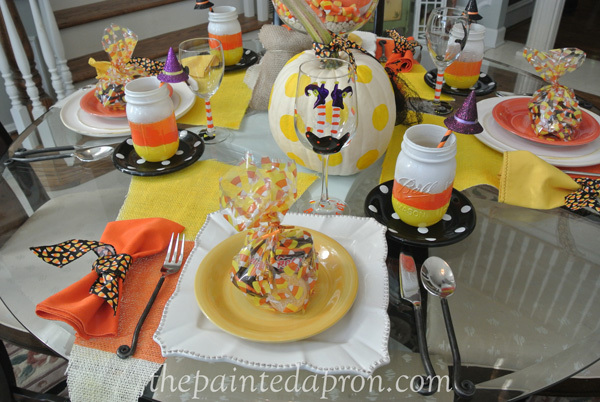 I love all the orange, yellow, and white. Adorable! I’ll be featuring this tonight at Merry Monday. Hope to see you at the party! Oh thank you Jenny, you’ve made my day!